The Trollbeads Tiara will be making its debut January 20th, although it won’t be available at all stores. Even if a tiara is not in your plans, it’s worth a look to see the spacers, which are really lovely. The tiara itself is $175 USD/ $201 CAD. The shorter spacers will be usable on the Neck Bangle and will easily work on bracelets, especially bangles. Even though we’re only moving into the end of January the thought of the garden growing again and seeing flowers makes me really happy and these silver and pearl flowers are like a getting a whiff of spring air. 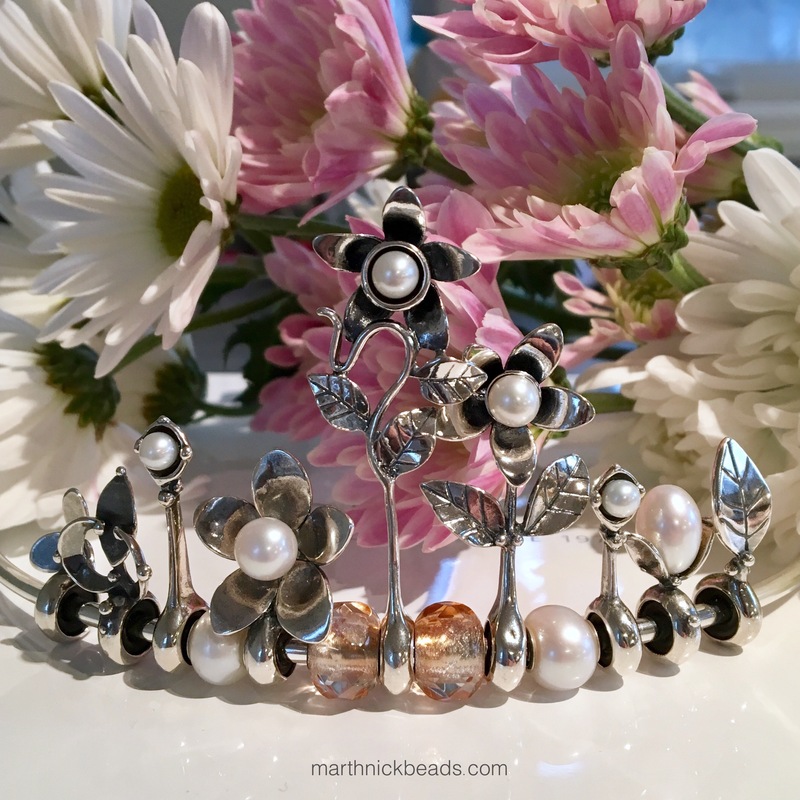 I put together a tiara with the new spacers, plus two Pink Prisms, two Pearls, the Budding Pearl Spacer and the Anemone Spacer. These promotional photos from Trollbeads are perfect for showcasing the tiara. Take note of the coloured image top left, taken from the Trollbeads Spring Collection inspirational images. I like how the tiara is being used as a headband with multiples of the Water Lily Spacer. 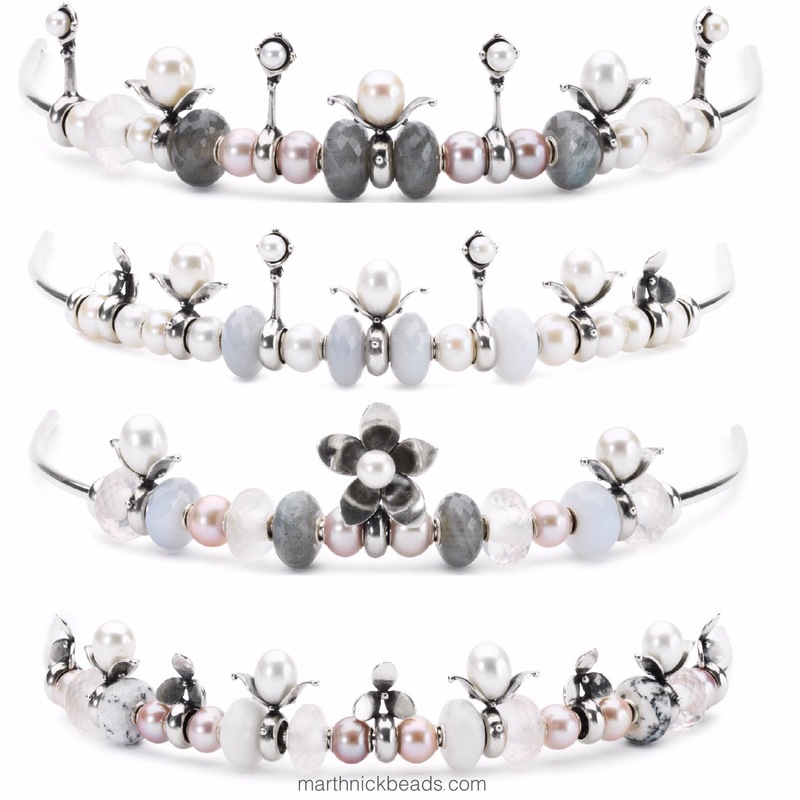 Below are my favourite four finished tiaras by Trollbeads (there are twenty five all together). I like looking at them as inspiration for some bracelets. The soft colours are so divine. Top to bottom they are called Lucia, Margaret, Irene and Huda. I absolutely LOVE these combinations that they made. Now for the spacers. Today I’ve just got an overview and a few photos but I’d like to feature them some more later on. There are three at the $46 USD/ $53 CAD price. Left to right are Two Hearts Spacer, Leaf Spacer and Fleur-de-lis Spacer. I put them with beads so we can see the size. I should have used white or cream beads but they were in my bead box and I didn’t want to move the flowers, hence the rather odd choice of Moonlight Bubbles and an Aurora bead, as I was wearing them earlier! There are two at the $73 USD/ $84 CAD price point. Below left is Royal Spacer Short and right is Royal Spacer. The last two spacers are $92 USD/ $106 CAD. Below left are Floral Spacer Short and Floral Spacer. 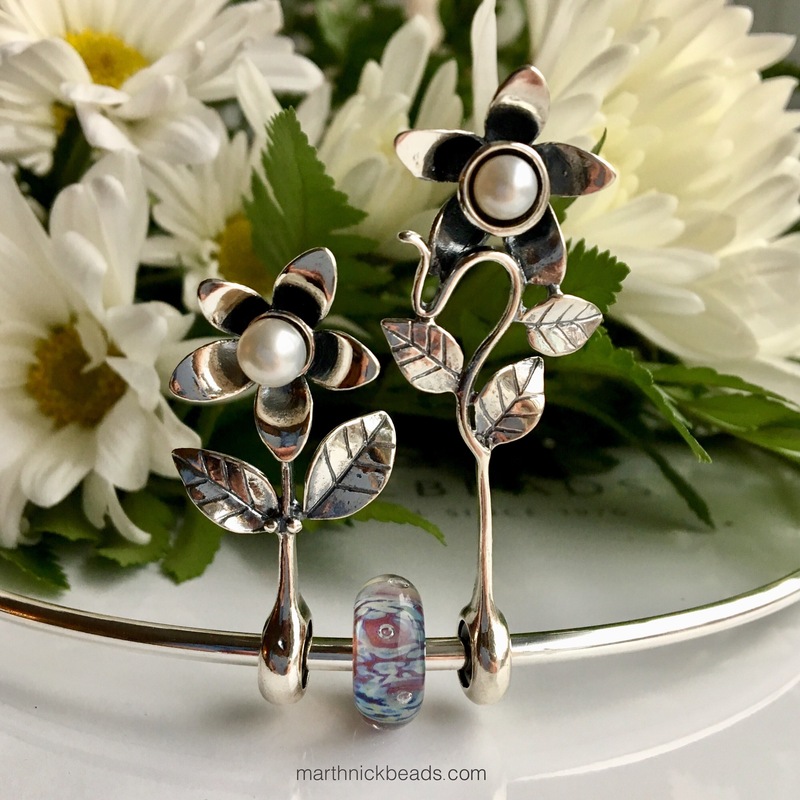 I just adore the graceful curves of the Floral Spacer! Now, for some real life photos…just with me though! 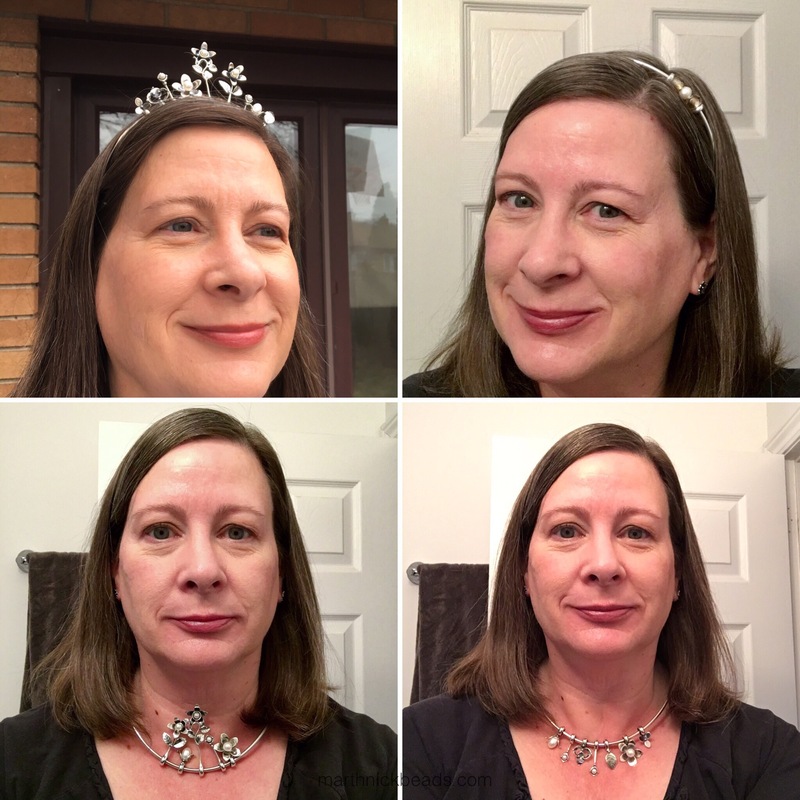 In the photo collage below on the top left my husband took one of me wearing the tiara, then I took some selfies. On the top right I’m wearing the tiara as a headband with a couple of Pink Prisms and a Pearl. My hair is far too slippery for this, but it will work for some people, I should think. The tiara is simply a U shape and really felt comfortable. Bottom left I thought I’d try the longer spacers on the Neck Bangle (for some reason I had this picture in my head). I don’t think it really works on me, but, if the Neck Bangle sits lower on you then it will work! Bottom right are quite a few of the spacers, but pointing down and I will totally use any of these in combination with beads. Another idea I’ll try later is the longer Floral Spacer on a long chain necklace that I’ll have to make by piecing together a bunch of bracelets. I really want to be using the Floral Spacers as I think they are super pretty! Here’s a closer look at the spacers pointing down on the Neck Bangle. I also made up some quick bangles with the shorter spacers to see if they would work. Here’s the Fleur-de-lis Spacer with two Pink Prisms. The Two Hearts Spacer I put with the heart beads from the Wishes and Kisses Kit. I think this is very sweet looking! This is the Royal Spacer Short, with, top to bottom, Floral Wishes, Smile of Stars, Wise Bamboo, Rainbow Bridge, Smile of Stars and Violet Stripe. 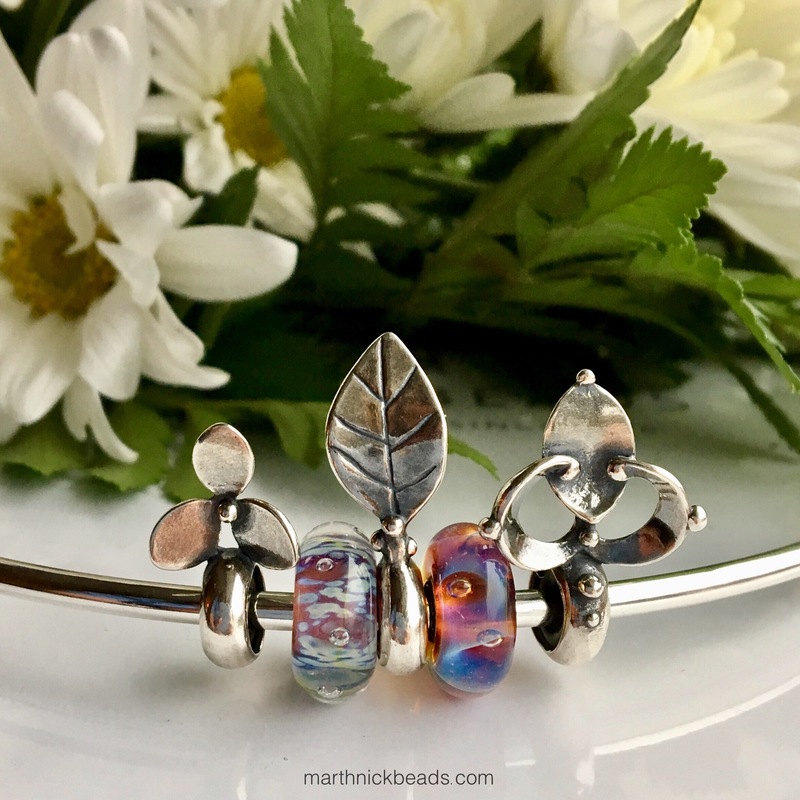 This bangle features the Leaf Spacer with some green uniques and the Seabed bead, second from bottom. Finally, here’s one more look at the whole tiara. I can try to answer any questions but also everything will be on the Trollbeads website on Friday. Do any spacers catch your eye? I think my early favourite is actually the Leaf Spacer. Perfect for spring! Please excuse the quality of this-it’s a selfie. I tried the tallest Floral Spacer but found it a bit floppy for me, but I think the Floral Spacer Short works. 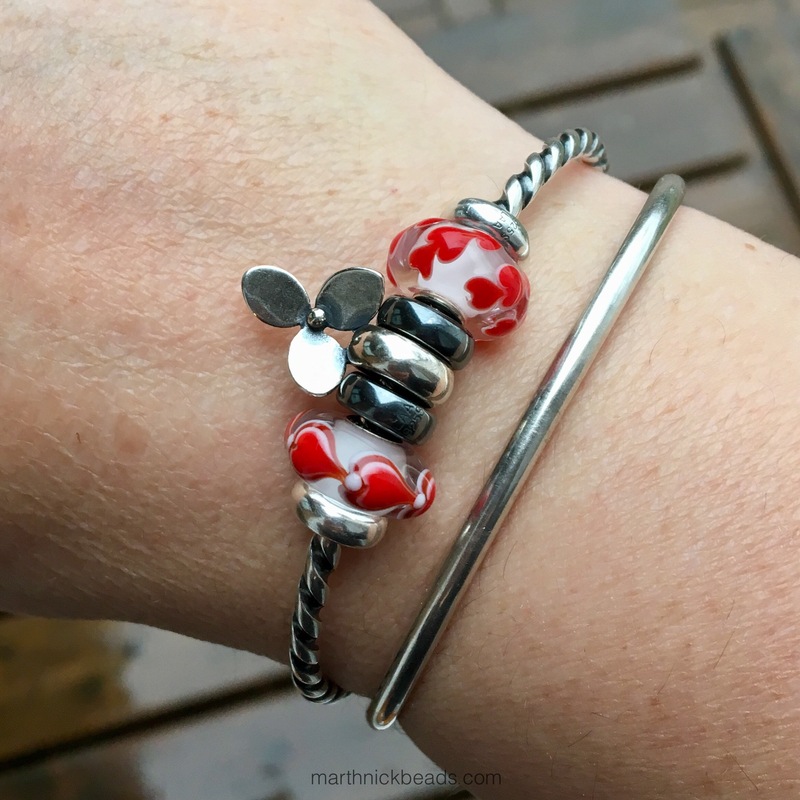 I was also thinking that in the summer one could use the longer Floral Spacer on a bangle but pointing UP the arm. I hope to see how others use it! Previous Previous post: Pandora Opalescent Pink Crystal! Elise, I’ll try the Floral Spacer on a chain right after breakfast and post the photo here. I don’t have the foxtail chain necklace but will string some empty bracelets together. The spacers are just so pretty! 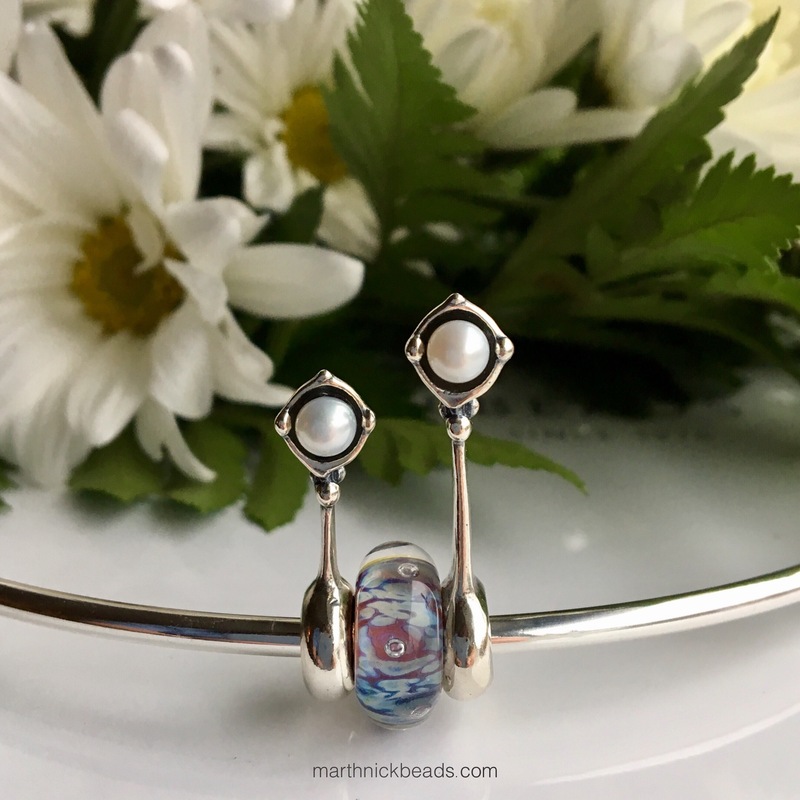 This is an interesting piece, as a tirara and as a headband. Does it sit securely both ways without slipping or feeling uncomfortable? I love the way you have styled it and the individual elements are amazing. I also love the leaves and pearls together which makes it such an elegant tiara. It is perfection for a bride who does not want a super sparkly tiara, which do sometimes look silly. I also think all the Downton Abbey crazed fans who love to dress up and hold Downton A. dinner parties, wearing their tiaras would love this because it can be worn so many ways, and everyday as a headband when not “dressing up”. 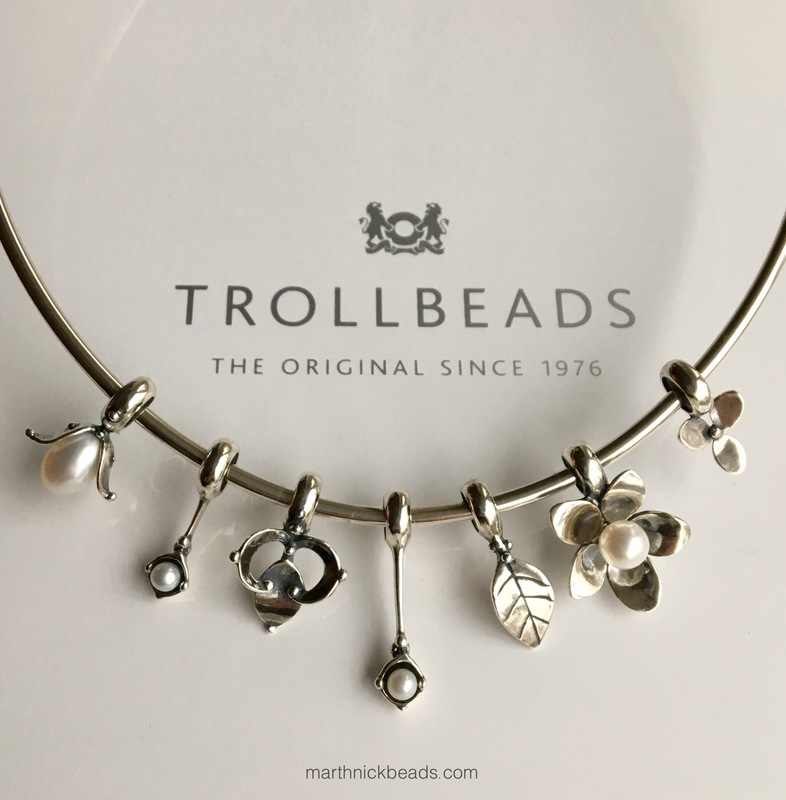 Trust Trollbeads to come up with something which will appeal to a new and younger generation of Trollbeads fans as well as we aging hippies! Your photos do it justice and show it to be a beautiful piece of art and accessory. I agree with your statement that it’s a perfect tiara for brides that don’t want a super sparkly one. And talk about customizable! As for how it feels it was very comfortable as a headband but won’t work with my smooth and slippery hair. One of the British ladies in an IG chat group was saying that brides use lots of hairspray so I should think the tiara wouldn’t move once you stuck it in the hairdo. Thanks as always for reading and commenting, Sarah! 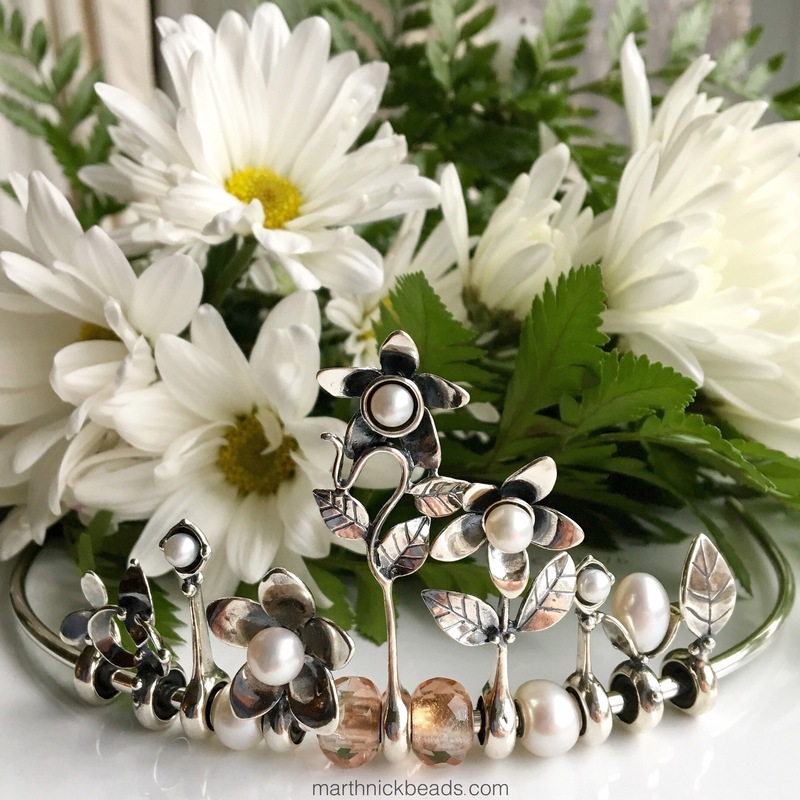 Your first photo of the tiara with the daisies is stunning! Thanks for showing the spacers on bangles. I was wondering how that would look. The Two Hearts, Fleur-de-lis, and Leaf work beautifully. Those three are my favorites. 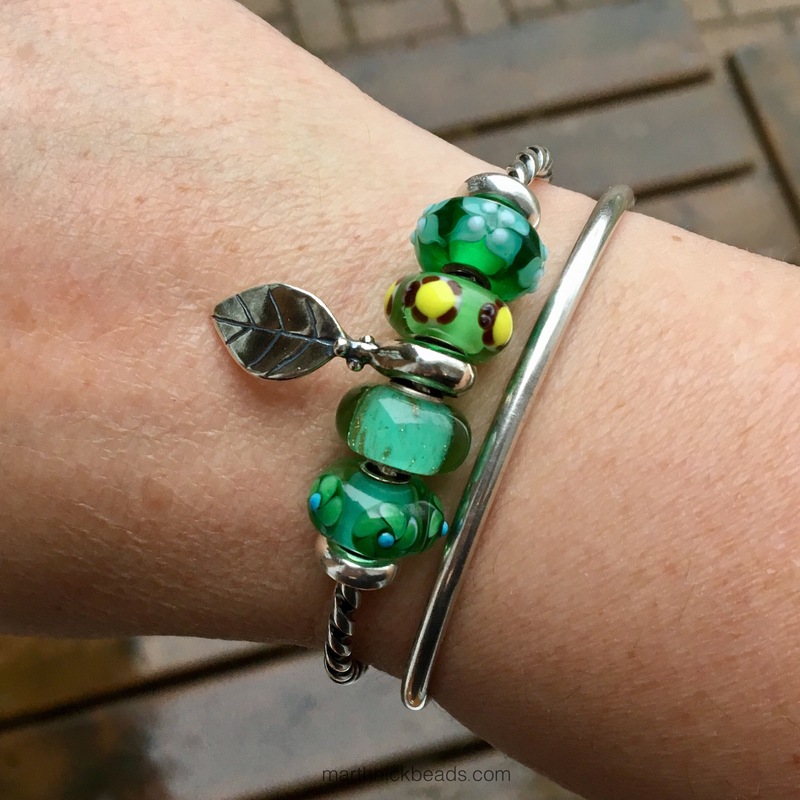 The bangle designs you created are really pretty and eye catching. The new spacers add an unexpected element. 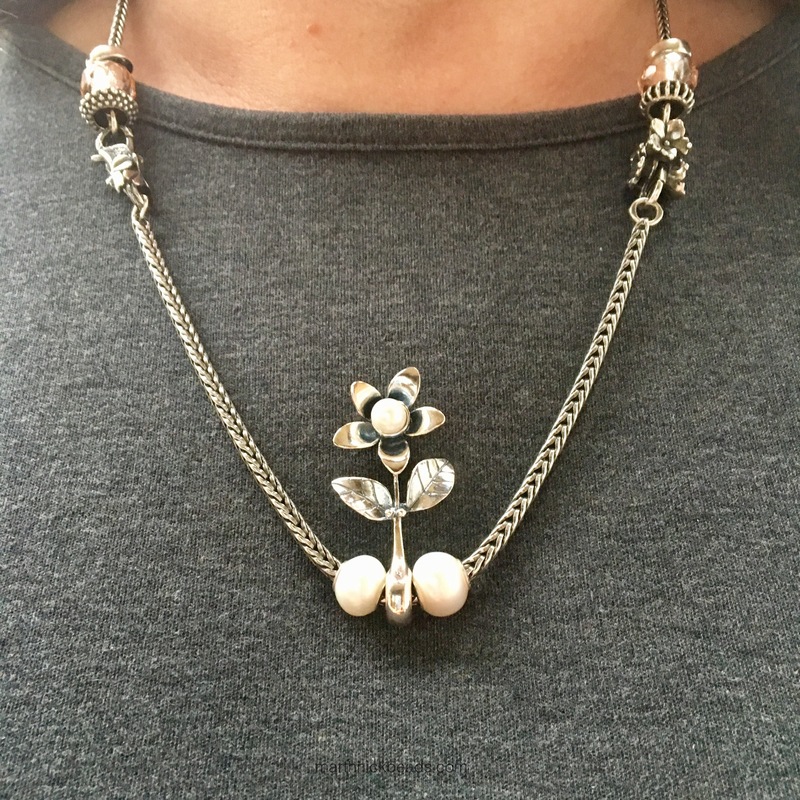 The two floral spacers are artistically attractive, but not sure I could use them as I don’t wear necklaces. Great job showcasing this interesting new concept! Thanks Dawn! I’m glad you enjoyed the photos. The new spacers, especially the shorter ones, are going to be super useful. Right now I’m wearing the Two Hearts one with the Native Elements Kit and it fits in so beautifully. I think they will also seamlessly match up with the upcoming Spring Collection! I’m not in the market for the tiara but it looks very pretty in the different combinations shown. I do love the spacers. At first I thought they would be too long for the bangle, but they look great. 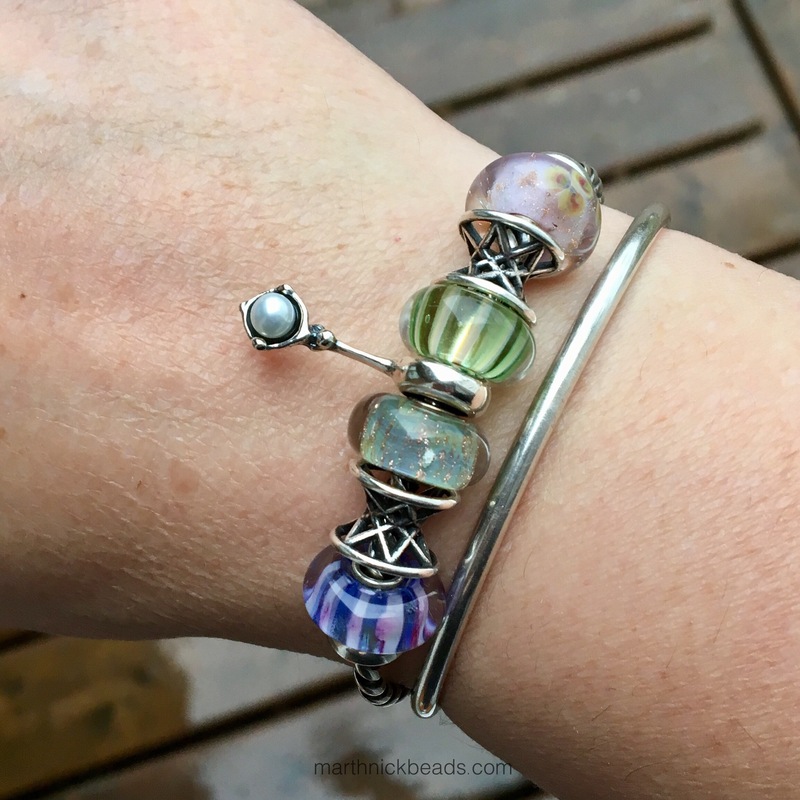 I love the spacers too, Suzanne and the shorter ones are just perfect for bracelets. Great photos Martha! Such amazing combinations as always. 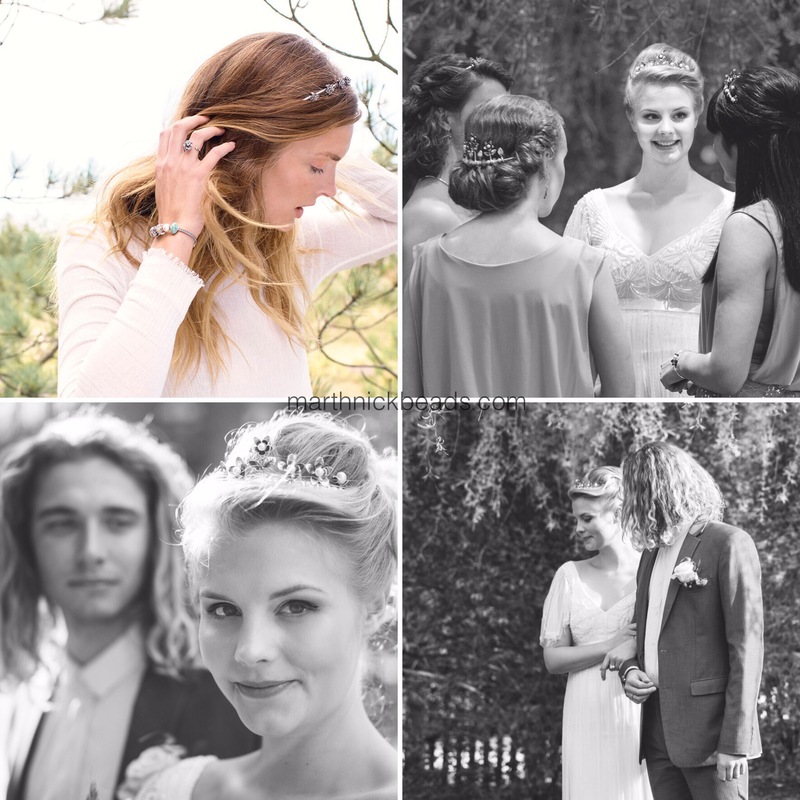 You know, I have to say that the traditional tiara on you looks so lovely, I almost wish I was getting married again! I could see this looking very sweet as a simple headband but I too have straigh hair so maybe best for curly girls where it will stay put. I also think it looks lovely worn backwards as a tiara with an updo. I imagine the price point fully stacked as in the sample would be cost prohibitive for most casual collectors, but it is an absolutely lovely piece that (hooray) can actually be worn again AFTER the wedding unlike my incredibly wedding dress and veil. 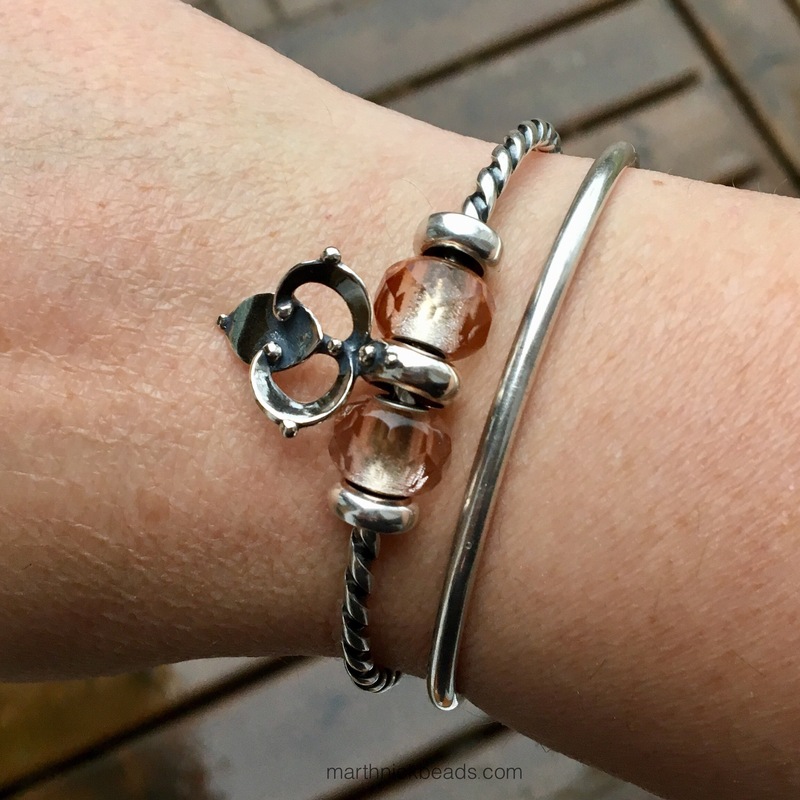 Well done Trollbeads, always innovating jewelry! I totally agree with you, Tanya. It’s something completely different for the modular jewellery market and I’ve loved looking at the ready made ones. So dreamy! I think my favourite look from the promo photos is the one on the back of the model’s head. I hope we can enjoy more promo photos as time goes on! Thanks! It’s very comfortable as a headband, but my hair is very smooth and slippery, so it doesn’t stay on when I look down. I think it would work on someone with different hair though. And my husband tried it on, but he’s bald and THAT didn’t work at all! 😉 Having said all that, I think it could be fastened with a couple of bobby pins.